Blanching vegetables is on of my favorite cooking techniques. Once you know how to blanch vegetables, you’ll realize how much it improves the quality of so many dishes. 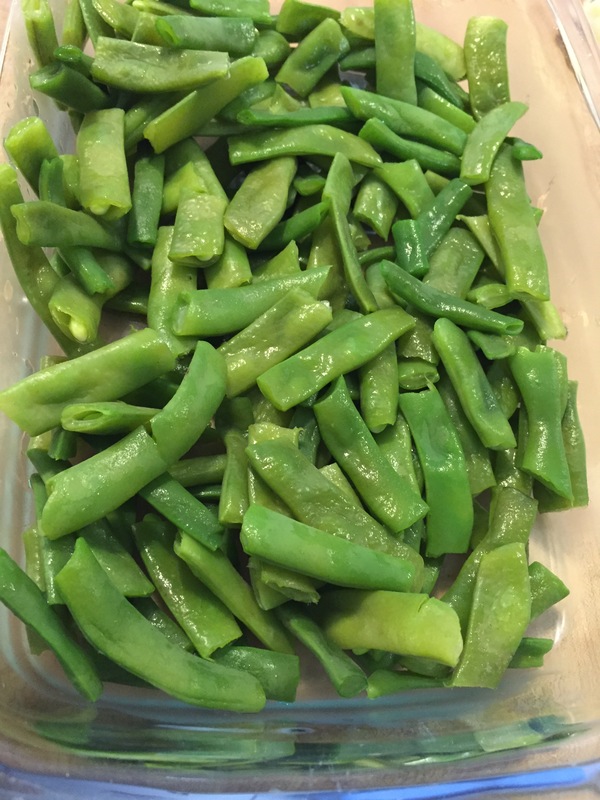 I especially love it for green beans and broccoli, although I’ve used it on so many other vegetables – it’s almost endless. Any time I’m going to freeze veggies, especially green beans, broccoli or carrots, I blanch them. It helps preserve the color and flavor in the freezer. But it’s also a wonderful technique to use when you’re going to saute some of the ‘hard’ veggies. It can also be used to ‘soften’ the flavor of something if you want to lighten it up. I often blanch peppers when I’m going to make stuffed peppers – just a couple of minutes in the boiling water makes such a difference to the quality of the final dish. Blanching is easy – you don’t really need any special equipment except a colander, although if you have a nested pasta pot with a strainer insert, it helps. Simply bring a couple of quarts of water to a heavy roiling boil, and toss in a tablespoon of kosher salt. Once you’ve got a full boil, toss in your vegetables. You’ll never boil anything for more than just a few minutes – and if your pieces are small, you’ll boil for less time. For green beans and broccoli I stop it at 3 minutes. At most for something like a larger piece of carrot I may go 4-5 minutes, but that’s it. the vegetables into ice water and stir. That’s it. The ice water stops the cooking process, and the whole technique preserves color, texture and flavor. Using a pasta pot lets you pull the insert from the boiling water and place it into the ice water directly – just a little easier than transferring back and forth with a colander, but that method works well too.